This is the third box in Melissa's Bauhaus series. 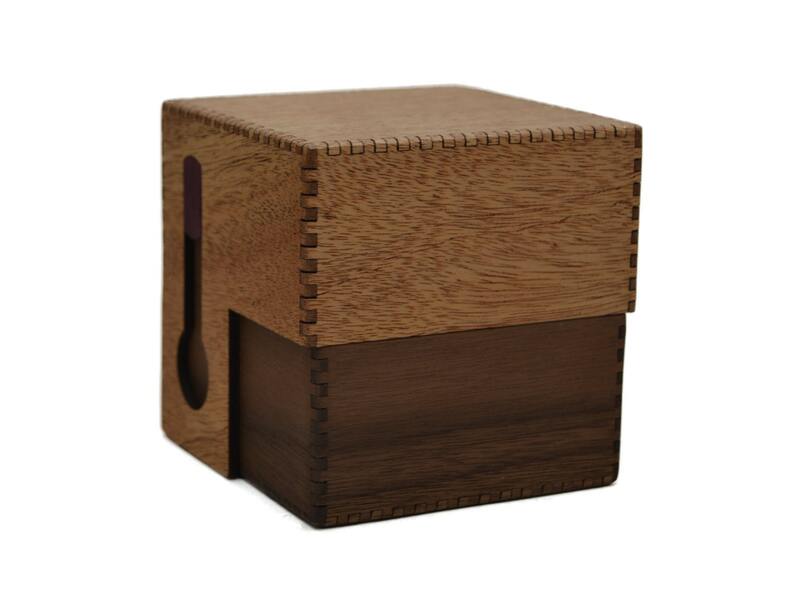 Inspired by the work of Walter Gropius, this is a simple elegant box made from three contrasting hardwoods - red oak, walnut and purple heart. 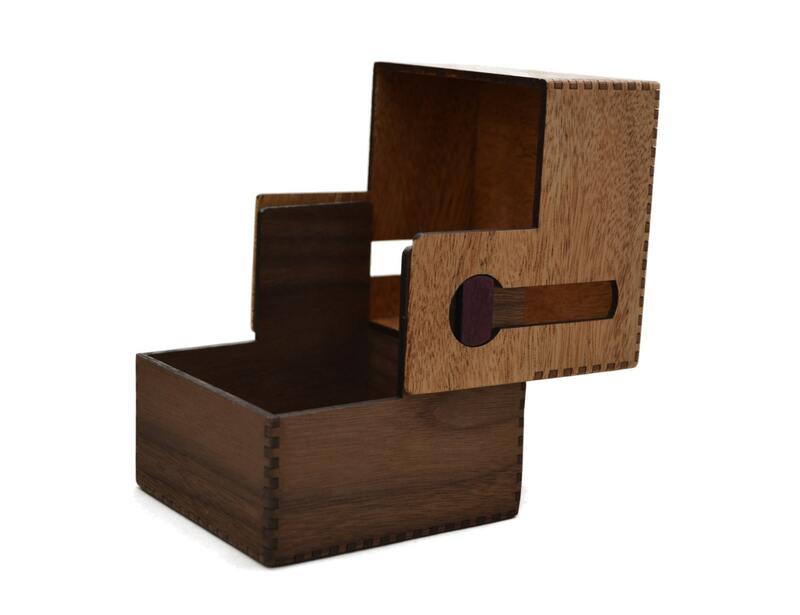 The box features a pivot hinge that allows the top to slide up and over to open the box. Sanded smooth by hand and finished with a satin polyurethane. We hope you like this box as much as we do. 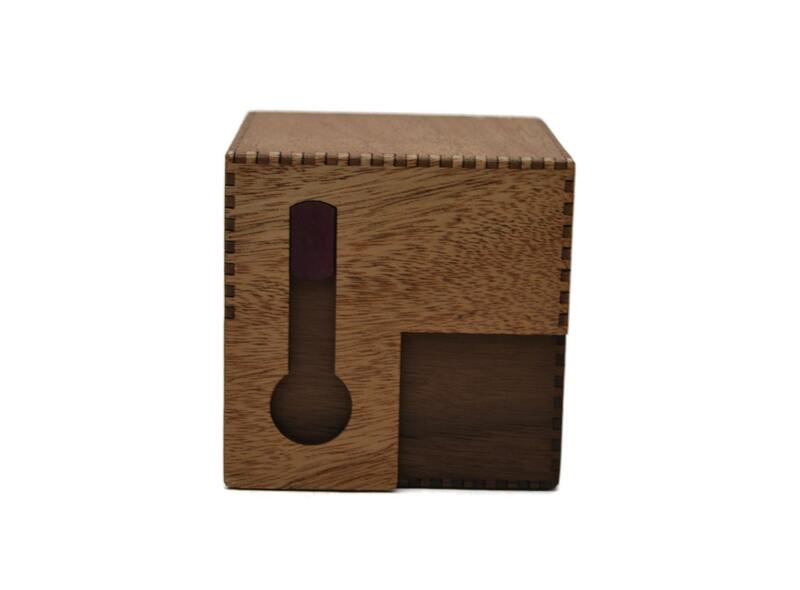 The box is a cube measuring approximately 3 7/8" on each side. Designed and made in our Tacoma, WA studio.